Welcome to Gremlin Computers, Goulburn’s proven IT solution offering every service for IT PC and MAC, Sales Repairs and Networking. Specialiising in hardware and software repairs, the Gremlin team offers 25+ years of experience covering all Sydney IT solutions that deliver results. Our on the job team is led by IT veteran Heath Betts who has served 10,000 clients all over the ACT Goulburn region, as well as supporting industry leaders such as NSW Health IT – Infinet Service Logistics and Australia Wide Country Resources. 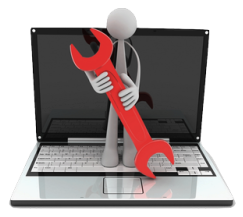 Computer Repair - our Technicians can identify and repair the cause of system crashes, lockups, errors and other hardware issues. Operating System Repairs - we can repair various problems with your computer's operating system that may be causing it to run slow, crash or randomly shut down. Computer Repair Diagnostic - our technicians will diagnose whatever issue is causing problems with your computer. 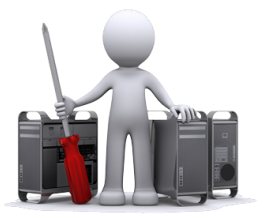 Data Recovery - recover deleted or lost files from your computer's hard drive with our proven service. Data Backup - backup and transfer of data files, photos, music, mp3s and other common files from one working computer or device to the storage device or media type of your choice. Computer Tune-Up - our complete computer check-up and tune-up will optimize your computer, remove unneeded software and improve overall system performance. Operating System Install - we install your operating system and update all driver and operating system updates. Computer Hardware Repair - we can repair any hardware issue from any brand computer new or old PC, MAC or Android. Trust the Guys Who Know the Gremlins to Fix Them…. 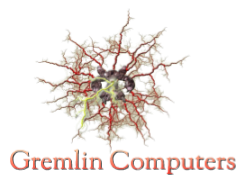 ﻿﻿Contact Gremlin Computers﻿﻿ Today!